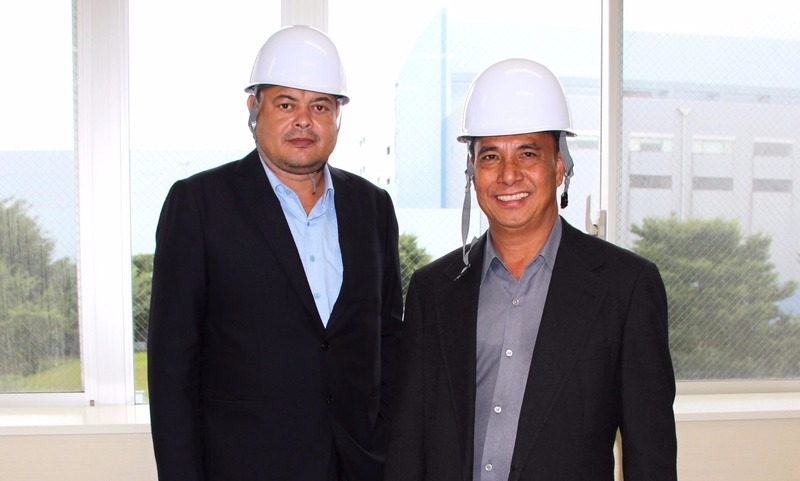 Vice-chairman Esmond B. Moses and Pohnpei governor Marcelo K. Peterson visited Japan for eight days starting August 6th under the "Pacific Islands Leaders Invitation Program". In the morning of August 7th, the leaders paid the executive director of the Japan-Pacific Island Nations Friendship Councilor League, Mr. Daishiro Yamagiwa and vice-president of Sophia University, Augustine Sali courtesy calls, and afterward joined a luncheon hosted by APIC Executive Director Sato. The Sophia University・ APIC・Xavier High School Scholarship Fund supports students from Xavier High School in Micronesia to study at Sophia University in Tokyo. Governor Peterson thanked vice-president Sali for Sophia’s support. 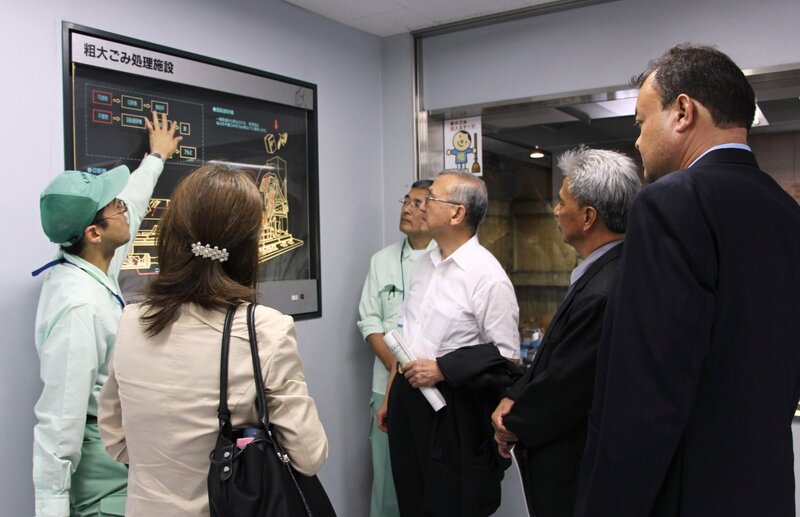 In the afternoon the leaders visited Ukishima processing center in Kawasaki, observing how Japan separates, recycles, and processes its waste. Micronesian citizens do not separate or recycle their waste, worsening an already bad environmental problem. Governor Peterson reiterated the importance of spreading information and education regarding recycling to Micronesians. He hopes that what he observed and learned while in Japan can be put to good use back home in Micronesia. 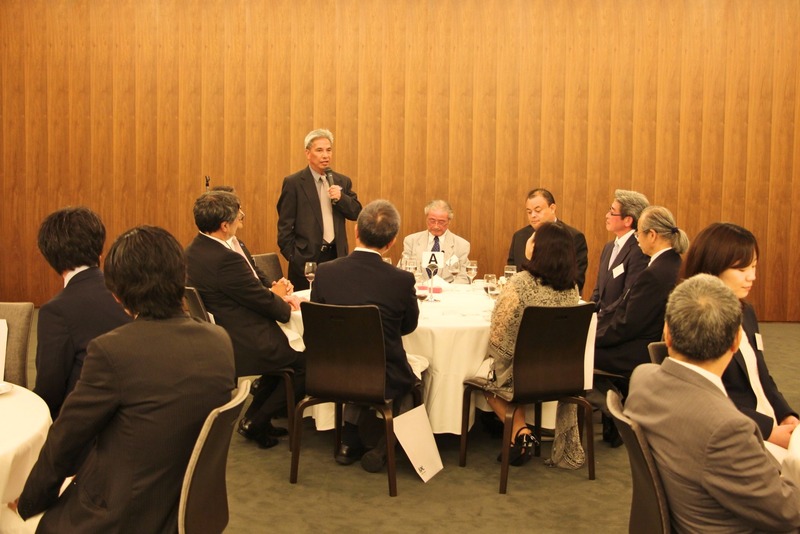 On the evening of the 7th the president of APIC, Mr. Peter Sato hosted a dinner at the Tokyo Club, inviting the two leaders as well as other members of the Ministry of Foreign Affairs, Micronesian Embassy, Professor Kataoka of Kansai Foreign Languages University, and other professionals related to Micronesia.